You certainly have the right to make God into whomever and whatever you would like Him to be. Over the centuries, humankind has cut gods out of stone, wood, paper and imagination. There are a number of difficulties with that kind of reasoning. 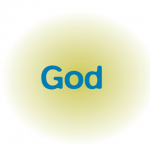 First, the god a person ‘wants’ may have little resemblance to the real God who exists beyond, and above, our minds and imaginations. Second, the god we want may seem as changeable as a chameleon. When we’re feeling good, he will be a smiling, benevolent god. If we’re upset with someone, ‘god’ will be a deity of anger and revenge. In short, the god we want is going to look a lot like us, reflecting qualities both good and evil. So, if the god I ‘want’ has my limitations, what good is he or she going to be? I need a god who is better than me. I need a God who is perfect enough to judge me; loving enough to save me; consistent enough to stay with me and bring me to heaven. I need the God of Christianity.